Free nopCommerce Theme offered by nopCommerceTemplate.com. The above screenshot will set color blue for theme as all other colors lines are removed. If you want to use your own color, you can do it easily. 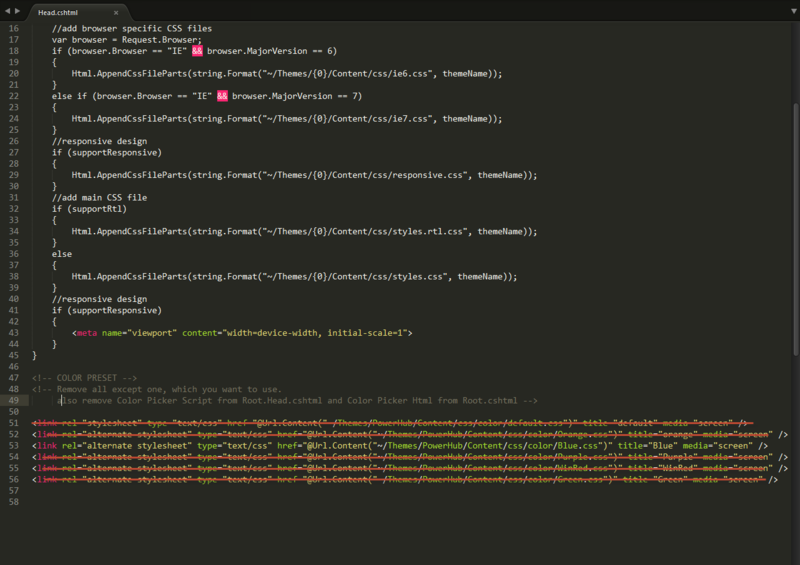 You just have to replace the color code in any css file from MyStore\Content\css\color and edit \MyStore\Views\Shared\Head.cshtml file to use that specific css file. For removing Color Picker option you have to go to _Root.cshtml(\MyStore\Views\Shared\_Root.cshtml) and remove code section by the red line in screenshot below. 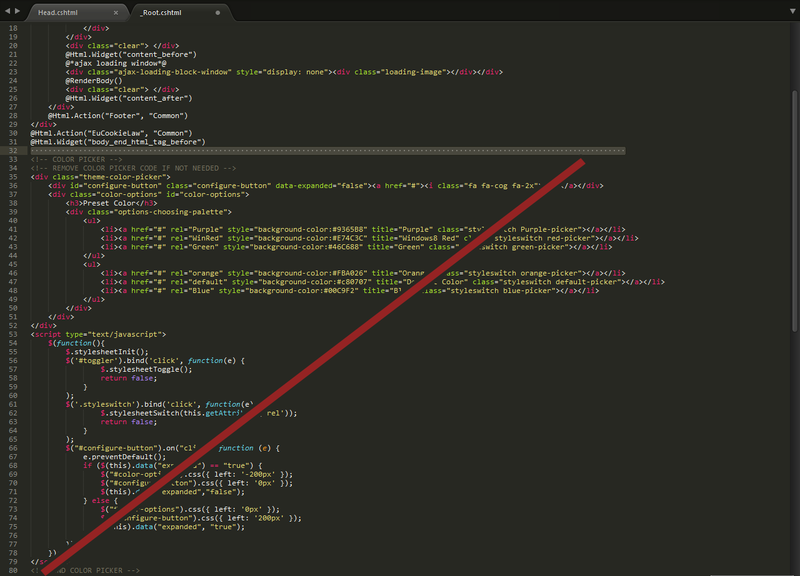 Remove all the code as you can see in screenshot. Ofcourse you want to or have to use your own logo in your own site. Using your own logo is pretty easy task. You don't have to change any code. 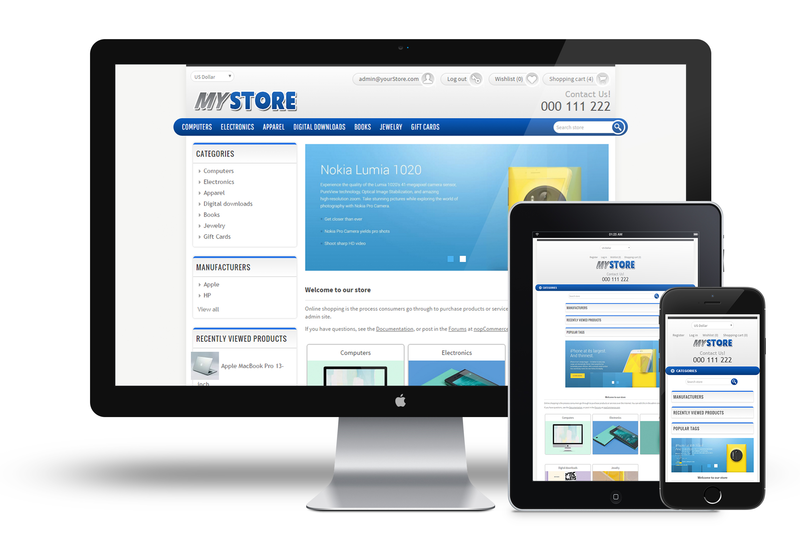 Just go to MyStore\Content\images folder of your website and replace the logo.png file with your own logo (Name should be same). Question: How can we add/change the banner images? 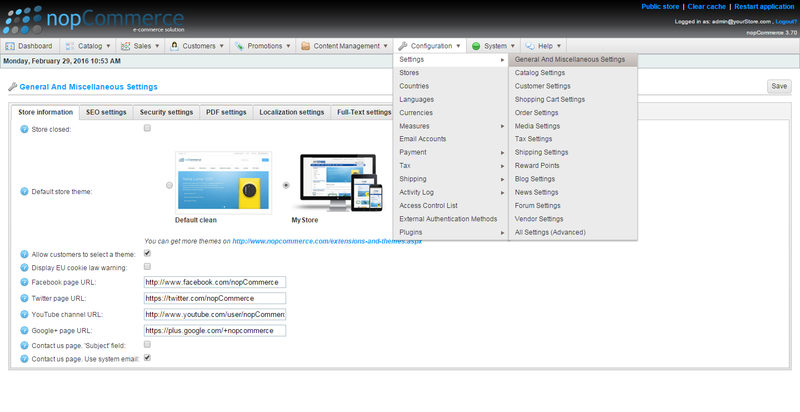 Answer: MyStore uses default nopCommerce widget. You can easily change banners image from admin interface. 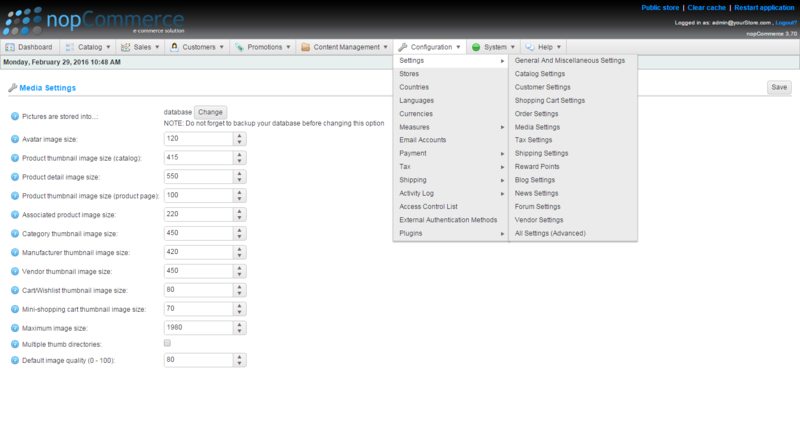 Go to the admin panel and go to ( Content Management > Widgets ) and configure NivoSlider.